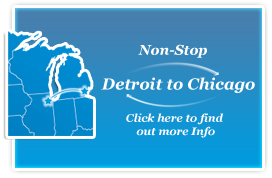 Since 1978, Professional Movers.com has been helping relocate Michigan families to Detroit and surrounding suburbs. In fact, Professional Movers.com is headquartered right here in Southeast Michigan. Our Michigan movers are local guys who have a vested interest in making sure you have a positive moving experience because after all, we live in the same community, and we know that if we do a good job, you will more than likely recommend our moving services to someone else. 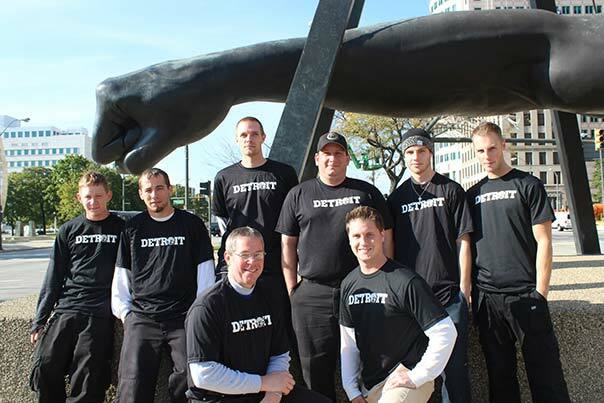 You’ve probably seen our moving trucks driving down Woodward Avenue or parked in front of your neighbor’s home. Whether you are moving from an apartment in Ann Arbor to a condo in Troy or from a house in Novi to a loft in Royal Oak, Professional Movers.com has a proven track record of providing thousands of successful local relocations. In fact, local residential relocation is our specialty. This is what we do most, and what we do best. What is Local Residential Moving & Local Household Moving? What Can You Expect During a Local Residential Move? How Many Total Hours Does it Take to Perform a Local Move? What is Local Residential & Local Household Michigan Moving? A local residential move is a move that takes place within a 40-mile radius and stays within the state of origin. For example, if you were moving household items from Farmington Hills, Michigan to Novi, Michigan you would be requesting Professional Movers.com to perform local residential moving services. Many factors determine the cost of a local move. Luckily, many of those factors are within your control. For example, how ready are you when the movers arrive? Are all of your belongings packed in boxes? Can the moving truck park close to your home? Do you have any extremely heavy items to move? Are there any disassembly or reassembly services that will be required to safely move your belongings? How much packing, unpacking and furniture placement would you like the movers to do for you? The more information you provide us prior to your move date, the better your chances are of having a smooth move within your budget. We are a full-service moving and storage company. You can walk out the door, leave the breakfast dishes on the table and we can take it from there. Or, you can have all of your belongings packed in boxes and stacked by your front door and we can simply load them on the truck for you and unload them in your new home. Based on all of the above information, we can determine the right number of movers to get the job done just the way you want it. Our strategy is to take you through a step-by-step process, explain your options, and develop the best pre-move plan for the most cost effective relocation. We begin with advanced pre-move counseling where our dedicated Certified Moving Consultants will visit your home and provide you with a written in home estimate. Our Certified Moving Consultants will be there every step of the way to make sure that everything that was promised during your estimate was fulfilled on moving day. Exceptional Customer Service is Guaranteed– At Professional Movers.com we have received numerous awards for our dedication to providing outstanding customer service. Including a 2008 Customer Service Hero Award from Corp! Magazine and a featured chapter in the customer service book, “Who’s Your Gladys?” From the moment you first contact Professional Movers.com until your last piece of furniture is placed exactly where you like it, you can rest assured knowing that our representatives will work tirelessly to make sure you are completely satisfied with your entire move. Certified Moving Consultants – We assign a Certified Moving Consultant (CMC) to each local move. Our Certified Moving Consultants have a minimum of 5 years consulting experience within the moving industry and have passed a nationally accredited industry certification examination. Your CMC will be your personal moving expert throughout your relocation. He/She will create a customized move plan that will layout the foundation for a successful, stress free, and affordable move. At any time your CMC will be available to answer questions, update you on the status of your move, and make sure that all the promises made during your estimate are kept on moving day. Specialized Movers Based on Your Needs – Your moving team will be chosen based on the exact specifications of your move. Your hand picked team of movers will complement each other’s job capabilities and create a manageable, efficient and cost-effective relocation. For example, if your move requires a lot of disassembly, then we will send a mover who is experienced in providing disassembly services. Working Supervisors on Every Move – We assign a working supervisor on every job. All of our working supervisors have worked a minimum of 100 local jobs before attaining the title of working supervisor. Prior to your move, your working supervisor will have a meeting with your Certified Moving Consultant to review your move plan. Your working supervisor will be onsite to direct the moving team and will be there to assure total accountability. Superior Protection Plan on Every Move – Professional Movers.com prides itself on the safe and secure transport of your household goods. Although your items may be going a short distance during a local move, we still take the necessary measures to protect your valuables. Our professionals pad and stretch wrap furniture to help ensure no damage is incurred during the transport. Our Home Protection program is unique in the industry. We promise to pad protect your entryway doors and stair banisters, in addition to covering any walkway flooring. To further protect our customers, we offer exceptional options for valuation coverage. A Positive Impact on Our Local Community – Our world headquarters is based right here in Michigan. Our employees are Michigan residents and a majority of our truck fleet consists of American-made nameplates like GMC, Kentucky Trailer, and Ford. We take great measures to go out of our way to spend our dollars with local Michigan based companies. After all, we know how important it is to help support the local economy and people who use our services. So when you hire Professional Movers.com you can rest easy knowing that you too are helping keep Michigan families working, and you too are doing your part to stimulate the local economy by hiring a local moving company who will pay it forward and spend their money here in Michigan. Point-to-Point Service – The same moving professionals that load your goods at your place of origin will be the same persons that unload your goods at your new destination. This seamless service fosters a better relationship between you and the movers and provides you with the satisfaction of complete accountability. The Cleanest Moving Trucks – At Professional Movers.com maintaining our moving fleet and ensuring dependable fleet transportation is a significant part of our commitment to our customers. Our delivery vehicles are serviced by professional mechanics on a regular basis and comply with all state regulatory, transportation and emission standards and codes. Post Move Evaluation – At the close of each move, you will be asked to complete a service questionnaire, used to evaluate our workmanship. This questionnaire helps to distinguish areas of strength and weakness. This assessment is a vital tool, which allows us to listen, learn, and provide continuous improvement on our award-winning moving service. In addition, a travel charge is assigned to all local moves. Typically, the travel charge is a one- hour fee depending on where you live. Ask your Moving Consultant to find out what the travel charge would be for your zip code. The chart below will help give you an idea of how many hours and movers it may take for your move. This chart was created to help serve as a rough estimate of how much time your move may take. Each move however, is unique to its own set of circumstances. For a more accurate estimate, please call one of our Certified Moving Consultants at 248-926-9999 and schedule an appointment to have him/her visit your home. Please note: Factors that may effect this chart include: stairs, elevators, long carry, distance between new and old residences, packing services, your own unique size/amount of belongings, and travel time assigned to your locations. Packing and crating of glass, pictures, and mirrors as needed. Detailed inventories provided upon request. No additional fees for stairs or long carries. Q: What can I do to keep moving costs down during my move? A: If you’re engaging Professional Movers.com, you should mention your cost concerns to our Moving Consultant. As they perform the pre-move survey at your home they will look to identify and share advice on things you can do to reduce the overall cost on your move. For example, if you are moving out of an apartment complex, he may recommend that you block off a parking area for the truck before the movers arrive. This would allow the truck to park closer to your unit and help reduce loading time. Q: When is the best time to schedule my move? A: Similar to airlines or hotels, most moving companies have traditional peak and off-peak times. Generally, the summer months are our busiest months. The first week and last week of each month are busy year around because this is when most home closings take place. Saturdays and Sundays fill up fast because many people look to move on the weekends so they do not need to take a weekday off of work. Monday through Thursday, in the middle weeks of the month, tend to be less busy. We recommend talking to our Moving Consultant during your pre-move survey about your preferred moving date. He will be able to provide information on current availability and help you reserve a date. Q: Can I keep moving costs down by having a family member or friend help with the move? A: Many people enlist friends and family to help keep move cost down. While this is a good solution for certain situations, if items are damaged during the move, it’s generally difficult to get an insurance carrier to replace them. If you choose to hire Professional Movers.com, your friends and family can be most helpful in preparing for the move – packing boxes, shoveling a pathway in the snow between the moving truck and the door, or caring for your pets or children. On move day, you should let the professionals handle the job entirely – they are highly trained and therefore best suited to carry the weight and negotiate the difficult access ways. Remember that you’re paying your moving crew by the hour, and generally speaking, having non-professionals on the job alongside them slows things down and costs you more in the long run. Q: How is the cost estimate determined for a move? A: Most moving companies base their estimates for local moves on an hourly rate, which includes drive time on each leg of the move: from the moving company to your original home, then to your destination, and back again to the moving company’s home base. Some customers are surprised by the extent of the drive time costs, which result from the fact that moving trucks can not travel as fast as passenger cars on the highway, and are often excluded from non-truck routes, resulting in longer trip mileage and travel time. A: Labor represents the majority of the moving expense. However, you should also budget for packing supplies, such as boxes and tape, and for additional valuation as needed. These costs can represent as much as 20% of the cost of labor. Professional Movers.com prefers to take special precautions with delicate or over-sized pieces, such as plasma televisions and chandeliers. This type of item is typically custom-crated, which will incur an additional fee. Your Certified Moving Consultant can advise you on these services and additional questions you may have regarding costs associated with your move. Q: Are there any “unexpected” moving costs I should be aware of? A: Unexpected moving costs often result from a breakdown in communication between the customer and the moving company. Rushing through the initial booking process can be detrimental to the success of a move. By taking the time up front to talk to your sales person, both parties will be fully aware of the specific circumstances they will find on moving day. For example, if you have remodeled your house since moving in, some of the furniture that went in originally may not come out the same way, and may require additional labor or equipment. Similarly, if you have assembled furniture within your home since moving in, special considerations will need to be made to move it out. A: The best way to ensure that your move comes in on-target with your estimate is to offer as much information as possible at the time of the estimate – this includes reviewing the inventory taken by the Certified Moving Consultant for accuracy. Neglecting to mention an ancillary piece of the move at the time of the estimate does not mean that your move will cost less, but rather that your moving crew will be less prepared to do it. They may show up with too few movers or trucks for what the situation requires, which may, in the end, escalate costs. A: As in other service industries, you may wish to thank your moving crew for a job well done by offering a gratuity. While the crew does not expect a set amount, we suggest that you tip based on your satisfaction with your crew and the move overall; with the general guideline of $4-6 per man, per hour. If you feel that your crew went above and beyond in their efforts, you may certainly increase the amount accordingly. When tipping, please be aware that whatever amount you offer will be divided evenly amongst all movers and packers who worked on your move. You may give the entire tip to your Crew Chief, who will later disperse it to the crew. Should you have additional questions or concerns regarding tipping, your Certified Moving Consultant can provide assistance. Q: If I’ve hired the “professionals,” is there any point in purchasing valuation? A: Although Professional Movers.com takes every precaution on a move, damage can occur and it is important to make sure that your shipment is protected. We recommend first checking with your homeowner’s policy. If your insurance provider does not cover items while in transit or in someone else’s vehicle, or if they only cover against major disasters versus minor damage to individual items, you should consider purchasing valuation coverage from Moving Insurance. Your Certified Moving Consultant can help you make a decision about the appropriate type of moving insurance coverage for your move. Q: Can the kids “hang out” and watch the move? A: We recognize that the moving process fascinates children, but for their own safety, we recommend that they stay with family or friends on moving day. If you do prefer to have them present, be prepared to supervise them carefully to ensure their safety during an often-frenzied day. Q: Can the movers transport my pets? A: Unfortunately, there is no safe place in the moving truck for pets to ride. They cannot be transported in the cab for liability reasons and the box of the truck is inappropriate due to lack of climate control and the danger posed by potential shifting of heavy objects. Move day is traumatic for most pets. The best way to ensure their physical and emotional safety during the move is to secure them at a neighbor or friend’s home, or in a professional kennel if necessary. Q: I’m having difficulty arranging transportation on moving day. Can I ride in the cab of the moving truck with my movers? A: Unfortunately, most professional moving companies cannot transport customers for liability reasons. You may wish to arrange a ride with a friend or a cab service on move day. Q: I think my home will close by the first of the month and would like to move as soon as possible thereafter. Can I move that same day? A: Because a complicated process such as a home closure or completion of construction is often delayed due to unforeseen variables, we don’t recommend scheduling your move for the same day. Save yourself the stress and schedule your move date for several days after your closing date. Consider booking your move 5-7 days after the estimated time your new home should be available. Q: Our new home is still undergoing construction. Can we still move in? A: Professional Movers.com understands that the challenges of packing and moving are often amplified by the unpredictable time frames of construction or renovation. First and foremost, it is critical to inform your Certified Moving Consultant as soon as possible of any situation that may affect your move. While our crews are highly adept at taking optimal precautions for care of new floors, walls, etc., a move can be significantly more difficult for all involved if there is wet paint or construction still actively occurring. If it is necessary to keep a move scheduled for a particular date, we can effectively work with your needs by grouping boxes in one room or bringing some pieces into storage until your home is ready. If you prefer to reschedule your move, we can work to accommodate your new schedule. Q: I want to do some packing and moving of small items before the movers arrive. What areas would be most helpful? Sorting and disposing of unneeded items through garage sales, donations to charitable organizations, or give-aways to friends and family. While it may be time-consuming, getting rid of items prior to your move is time well spent. Keep in mind that it isn’t worth paying the movers to move items that you’re only going to throw away later. Pack non-breakables and areas that you don’t use often, such as basements, garages and attics. If you have time remaining to move some items yourself, focus on plants, pictures, collectibles, and highly-sentimental items. A: Discuss this with your Certified Moving Consultant. In general, storage is appropriate when you have a plan for the future of your items. If your items don’t fit in your new home but you are living there only for a finite period and then planning to move to a larger home, storage may be appropriate. Or, if your items are high-value, you may wish to store them. If your items are older or less valuable, consider the monthly cost of storage versus the replacement cost of the items. It may be more cost-effective to donate or discard of them now. A: You’ll want the movers to carry heavier, larger items such as bureaus, desks, and sofas. Also, should any items need to be hoisted into or out of your home, it is essential to leave that to trained movers versus risking serious injury to yourself. We also recommend that you have the movers pack fragile items such as china and artwork. A: Pick a labeling system and use it consistently. You can either color code your belongings based on the rooms at your destination (bedroom red; living room: blue, etc.) or label the boxes with consistent shorthand to denote their location (DR for dining room, MBR for master bedroom, etc.). If possible, boxes should be labeled on 3 sides. Q: Should I pack my breakables? A: Many people feel that they should move their breakables and heirlooms themselves. However, if you’ve chosen to hire professionals, let them do what they do best, including assuming the liabilities associated with heavy lifting, negotiating stairs, and maneuvering fragile items. The moving crew has daily experience packing delicate items such as crystal and collectibles. Also, insurance providers to the moving industry will only cover boxes packed by the moving company, not the customer. In a worst-case scenario in which your valuables break on a move, they will be covered as long as you have purchased valuation and that the movers have packed the items in question. Q: I’ve got a lot of paperwork in my home office. Do I need to empty out my filing cabinets? A: When the cabinets are made of metal, 2-drawer filing cabinets can be left full. The top two drawers of a 4-drawer cabinet need to be emptied. All lateral file cabinets need to be completely emptied. All drawers need to be emptied in wood cabinets. A: The moving crew will wrap these items in moving blankets to protect them on the truck. However, you should make certain that your dishwasher, microwave, and washing machine are empty. Additionally, movers are not electricians or plumbers – you need to arrange for the appropriate professional to disconnect your washer, chandeliers, and refrigerator from any electric and/or water connection. Most importantly, movers are not licensed to disconnect gas. A: Such items can be moved if properly packed, but Professional Movers.com cannot ensure the safe transport of live plants, which can be traumatized by motion, temperature extremes, or the time in the moving truck. Plants cannot be stored or taken on interstate moves. If you are moving overseas, please note that most countries will not allow the import of agricultural items. A: Even Professional Movers.com can not move hazardous or combustible items such as propane tanks, firearms, paint, and aerosols, as the pressure in the back of the truck could cause these items to explode or catch on fire, risking enormous damage to the rest of your items. It may be better to dispose of such dangerous items than to try and move them to your new home. Additionally, be certain to empty the fuel out of any gas-operated items (such as a lawnmower or snow blower) prior to moving. Q: How will the movers know what items to take and what to leave behind? A: Keeping the lines of communication open with your moving crew is critical during both the packing and moving process. If you have some items that should stay behind at your old home and some that go to your new home, you must clearly mark which is which. In order to avoid inadvertently leaving something behind or discarding a valuable item, your moving crew will move ALL items in your home, unless instructed otherwise. It is your responsibility to walk through your old home and do a final check for any overlooked items before the moving truck departs for your new home. Q: What should I do with last-minute kitchen items? A: Decide up front with your Certified Moving Consultant if you or the movers will be packing your kitchen. Based on the agreement you have arranged, either have your kitchen packed before their arrival or have items neatly stored in cabinets if the crew is packing for you. This may necessitate eating off paper plates or dining out for the final few days leading up to your move. Q: What should I do with the food in my refrigerator and other perishables? A: Arrange for a cooler to transport such items. Your refrigerator cannot be moved with food in it. Q: What if I haven’t finished packing by my scheduled move day? A: It’s very common to underestimate the volume of items that need to be packed for a move. Frequently, people simply overlook many of their possessions until it is time to dig into the far reaches of the basement, attic, or garage. Other times, you may anticipate having more time available to pack or more helping hands than is the actuality. For the above reasons, we strongly recommend following an organized packing plan and leaving significantly more time than you think you’ll need for packing. Convenient delivery of high-quality packing supplies from Professional Movers.com is a great way to start your move preparation efficiently. If your move day is rapidly approaching and it becomes clear that you will not be fully packed, it is critical that you inform your Certified Moving Consultant as soon as possible. He or she can work with you to make the best possible “plan b” for packing. This may mean having a Professional Movers.com crew finish up your packing or, if you have the flexibility, pushing back your move date in order to allow more time to pack. If you have only a small quantity of items left to pack, your crew can often complete this on move day; however, it is important to understand that this will add time to the job and, therefore, add to the total cost of the move. Q: Can the crew members arrange the furniture to my liking in my new home? A: Absolutely. However, please remember that on local moves you are charged by the hour, so a significant amount of time spent rearranging the furniture will add to the total cost of the move. Having a plan in mind before arriving at your new home can save time and money. Q: I’ve got a few prized possessions that I want treated with extra-special care. How can I guarantee this? A: For your own peace of mind, you should consider moving jewelry and other small valuables yourself in your personal vehicle. As for larger valuables, point these items out to your moving crew. Awareness breeds care and you should feel confident that your movers will pay special attention to any items you have designated as having high monetary or sentimental value. Most moving companies will have some variation of a “high value declaration” form and will request that you itemize all precious items to ensure that they receive VIP attention and that, in the event of breakage, the crew is aware of their value. Completing these forms up front will also streamline any claims you may have following the move. Q: If I have items that I absolutely need on move day, should I point them out to my crew? A: You may wish to transport essentials that will be needed immediately (such as medication, cosmetics, toiletries, a change of clothing, bed linens, towels, and toilet paper) in your personal vehicle. Alternatively, mark these boxes and draw them to the crew’s attention, giving them specific instructions as to where to place the boxes in your new home. Q: Do the movers take time off for lunch? Do I need to provide lunch for them? A: Moving is a physically taxing job and the crew needs time to eat during the day. On a local move, they will often grab a quick bite to eat in route to your new home. As for providing lunch, it is certainly not required, though it is very much appreciated by the crews. Having the crew stay in your home for lunch may also make for a slightly shorter move day. A: Unfortunately, possibly not. Many people overlook the space that smaller items such as knickknacks, photos, CD collections, books, spare clothes, etc., will take up. If in doubt, you may wish to consult with an architect, interior decorator, or a professional organizer with experience in evaluating space. A: Yes, but there is a charge for items taken to the waste disposal location, which includes the labor involved in driving to and from the location as well as a fee imposed by the management of the waste disposal location. Q: Can my movers clean my home after the move? A: While moving companies may vary, at Professional Movers.com we clean up any clutter we make during the moving process, and if requested we can perform general house cleaning. Ask one of our Certified Moving Consultants with pricing for in-house cleaning services. A: While it may be more pleasurable to move on a warm, sunny day, Professional Movers.com is prepared to move during rain, sleet, or snow. We come equipped with supplies to keep your belongings safe from the elements. However, in order to keep costs down, we recommend that you shovel or rake or otherwise clear the access ways in preparation for their arrival, rather than paying your moving crew for the time it takes to remove such obstacles. Q: Do I need to be there for the entire move? A: You or a representative on your behalf needs to be available for the entire move. Often times questions come up that the movers need someone available to answer. They will also need someone to verify that everything that needs to be moved is loaded and unloaded. Q: Do I need to empty out drawers? A: In most cases, clothes can be left in dressers. However, limit it to clothes only. Overly large dressers and armoires should be completely empty. Standard 2 drawer file cabinets can be left full. Standard file cabinets larger than 2 drawers should have all drawers above the bottom 2 drawers emptied. Lateral and fire proof cabinets should be empty. All other furniture should be emptied. Q: Can the movers disconnect and reconnect gas and water lines? A: We recommend gas technicians for gas lines. Due to rust and corrosion we prefer to stay away from water lines. We can assist with a signed liability waiver. Q: Will the movers disassemble and reassemble furniture? A: Certainly. Just inform your Certified Moving Consultant of what you are wanting disassembled and reassembled and we will include it in our guaranteed move price. There are some exclusions such as ready to assemble furniture, pool tables, and some home gyms. We can refer you to well qualified companies if we can’t help. Q: Do you provide protection for floors and doorways? A: Definitely. The biggest protection you can have is good movers and we have great movers. But to take the extra step, we use neoprene floor runners and door jam protectors on every move. Q: How many men will I get for my move? A: Every move is different. Our Certified Moving Consultants are the best in the business. With over 30 years of experience they will align a staff of movers and trucks catered specifically to each move. Q: How far in advance should I reserve a date for my move? A: That is up to you. Some customers book 6 months in advance and others with minimal notice. A general rule of thumb is Fridays and Saturdays are very busy. The same can be said for the 1st and last week of a month. If choosing dates in these time frames, try to schedule at least 2 weeks ahead. Q: How much time does an in-home estimate usually require? A: Usually an in-home visit requires between a ½ hour to an hour of your time. Professional Movers.com can accommodate any of your local moving needs, 24 hours a day, 7 days a week. We combine the most modern and updated equipment with the most elite of manpower in our industry. For your next local move in the Metro Detroit area contact Professional Movers.com at 248-926-9999 and schedule an appointment to have one of our Certified Moving Consultants provide you with a FREE MOVING ESTIMATE.